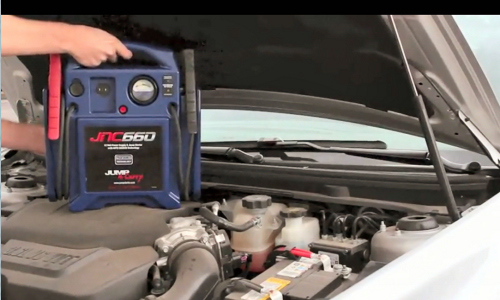 Clore JNC660 Jump Starter Reviewed - One of the Best! The Clore JNC660 jump starter is the number one best selling jump starter, so what makes this jump starter the best seller, and are there any negatives you should know about? There are plenty of reasons to like this jump starter (not least its huge peak amperage) , but there are one or two surprising negatives considering that this is the best seller. 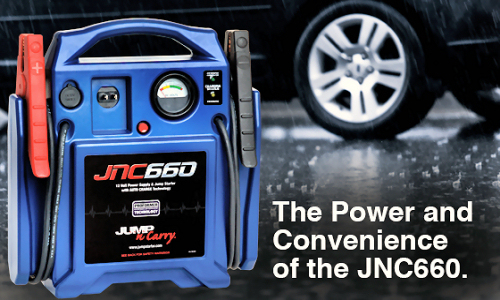 Please make sure you read our entire review, as your ideal jump starter depends on your personal requirements and the following details will help you decide whether the JNC660 is the best solution for you. Please check to see if one of the alternative jumpstarters listed at the foot of this review would serve you better! We’ve summarised every customer review published on the web into the following chart so you can see at a glance how the Clore JNC660 is rated by actual verified owners. These reviews were collected from large online retailers and totalled over 1,300 individual reviews. How the Clore JNC660 improves your motoring experience. Jump starters are designed with one key aim in mind – to jump start your dead batteries with the need for an external power source or another vehicle. 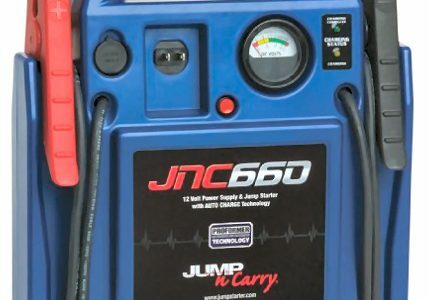 With Clore’s Jump-N-Carry range of jump starters you simply connect it to a vehicles dead battery, turn the ignition, and you are ready to drive off. Jump starters are therefore popular gifts for new drivers, and are found in every mechanics tool shed. With it’s massive 1700 peak amps, this is the most powerful jump starter we have reviewed. With all that muscle it’ll jump start everything up to a sherman, and beyond! Due to it’s extremely capable 1700 peak watts this particular jump starter is perfect for heavy professional users such as mechanics and car dealerships. The ability to charge accessories thanks to the 12v lighter socket also makes it attractive for home and travel use. The above movie of the Clore JNC660 is the official demonstration from Clore, showing how this jump starter is used to jump start a car with a flat battery in seconds. on models after May 2010, so buy new not second hand! 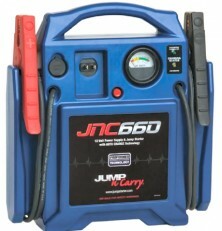 Out of this huge feature list, note the ample cable length, unique voltmeter, and auto cutout are features not present on many other jump starters. If there is a close-up of this jump starter that you would like to see, let us know in the comments box at the foot of the page and we’ll add more photos! The Clore JNC660 is a no nonsense rugged, powerful jump starter. It’s massive 1700 peak amps finds favor with car dealers and mechanics who require a jump starter that will jump vehicles of all sizes, and several times on one charge. The updated design since 2010 includes a charging cut out that means it can be left to charge without fear of causing damage through over-charging. At 18 pounds this is no light weight. As this is a very capable jump starter it is reasonable to expect it to be heavier than most so you may wish to consider this if you anticipate a lot of use perhaps by someone that is not exactly pumped. For normal emergency usage to move it from one end of the vehicle to the other, this is not an issue. 18 pounds is actually only 8Kg so not even half the weight of a normal suitcase when you go on holiday. 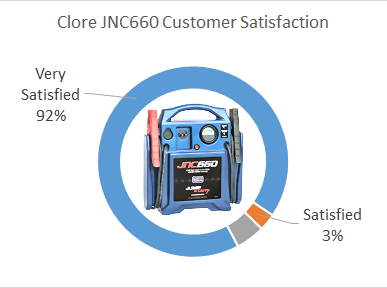 It’s hard to find fault with the JNC660, which is probably why it has managed a remarkable 92% customer satisfaction rating (see image at top of page), so although we talked about its weight at 18 Ibs being quite bulky, it is actually around the same weight as any other battery powered jump starter, and a little lighter than one with a compressor built in. Do I really need 1700 Amps? How many times will it jump start before it needs recharged? What is the difference between a jump starter and a battery charger? Where can I view the JNC660 user manual? To ensure longevity Clore recommend that the JNC660 is recharged after every use. Bigger engines need more amps to turn them over. If you have a SUV, a 7 cylinder engine or several vehicles, a 1700 amp jump starter is what you need. Yes, should the battery fail, it can be replaced. The unit comes with a 1 year warranty and a fixed price repair for the following year. The amount of jump starts this unit can deliver depends on several factors, such as temperature, number of cranks before the engine fires, etc. Customers have reported getting 15 jump starts out of one charge. A jump starter is what you need when your vehicle will not start due to a flat battery. 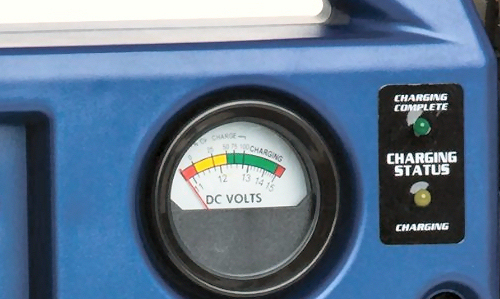 A battery charger is used to maintain a charge in your vehicles battery by connecting it to household AC power. As such, jump starters are supplied with jumper cables, and are manufactured with an internal battery. 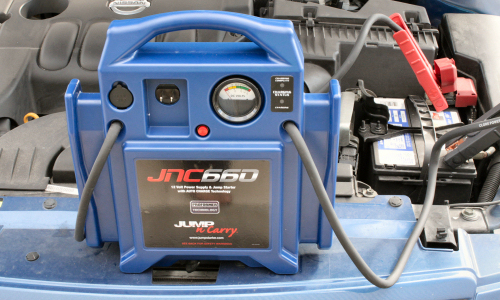 Jump starters are kept in a state of charge by regular charging in order that they can jump start a flat battery without the need for an AC connection. As a Battery Charger has no battery, it must be plugged into household AC power to operate. You can read the Clore JNC660 Instruction Manual PDF. With Clore products you can buy with confidence. They have excellent after care provisions and will replace defective units and pay for the return postage of the faulty jump starter. These units also come with a voucher for repairs after the one year warranty has expired – we are unaware of any other manufacturer that offers this level of after care. 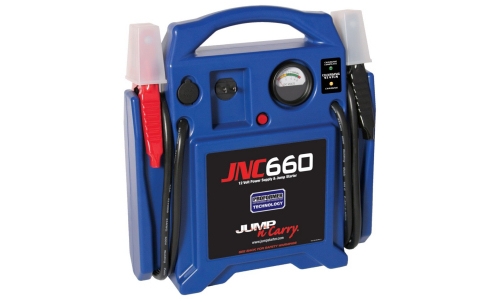 It comes as no surprise that the Clore JNC660 has been a best selling car jump starter for many years. There are a few really great car jump starters, but not many come with the punch of the clore and the reliable customer service. Buy in confidence, highly recommended! For a smaller unit that also has gadget charging, try the PowerAll Jump Starter. If you can’t start your car or truck with this thing, you have bigger problems than a dead battery! 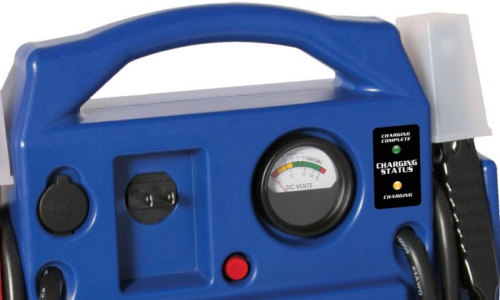 This unit is one of the most powerful portable battery jumpers out there at 1700 peak amps. That’s almost twice as powerful as many other lower quality competitors. This is a superior jump pack. Stays charged for a long time. Love it. This is awesome, not only jumps all types of 12v batteries, but you can plug your 12v adaptor in it to charge cell phones, run stuff.